SEOUL, June 25, 2014 — LG Electronics (LG) today unveiled its Software Development Kit (SDK) to help developers create new LG Smart+ TV apps with greater ease and efficiency. A new accompanying website (http://developer.lge.com/webOSTV) will provide developers with access to all the information they need to create high quality webOS TV apps. The new website contains tech-related documents, development tips, sample apps, design guide, FAQs and developer forum. 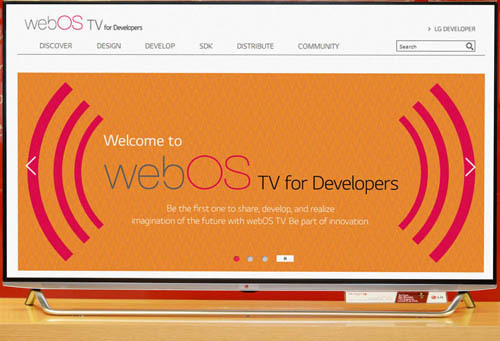 The Application Programming Interface (API) guide will help developers get started almost immediately without a long orientation process and clear step-by-step explanations are provided for beginners to webOS.